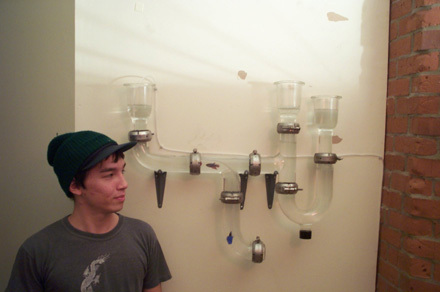 Tube Aquarium is an aquarium for fish and other aquatic creatures. 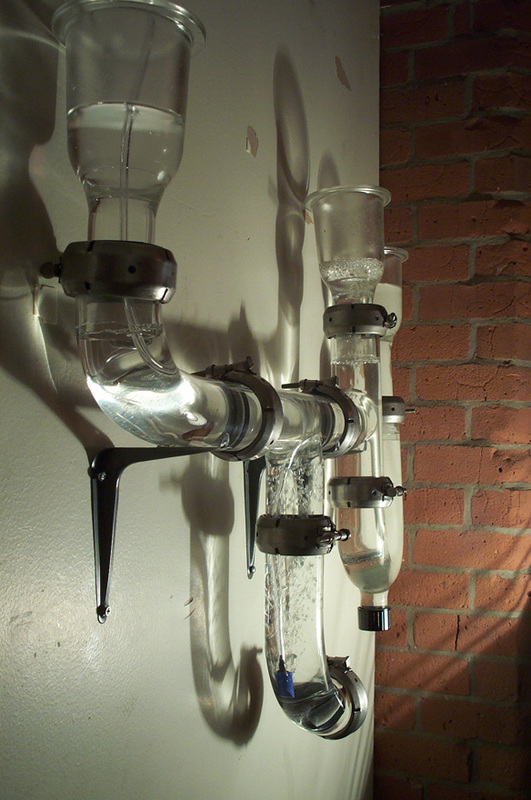 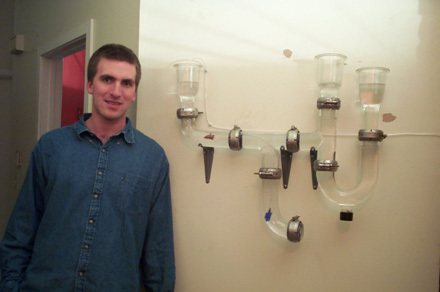 It was constucted entirely from discarded pyrex tubes and fasteners from a university chemisty lab. 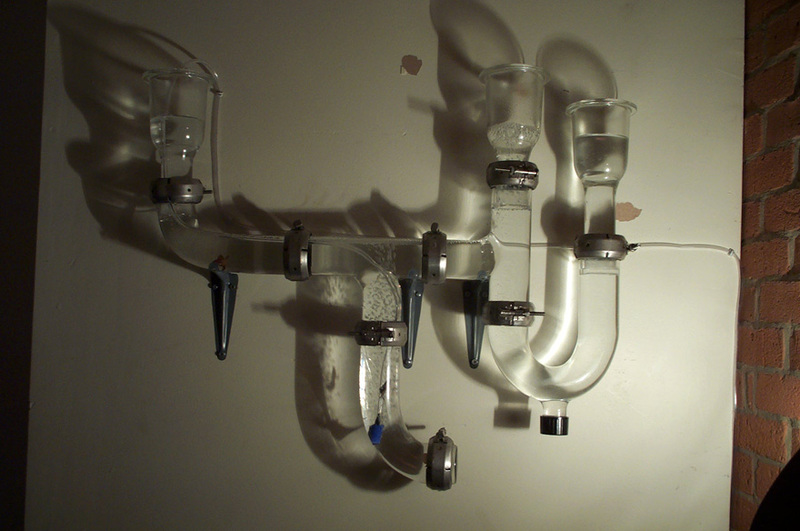 Tube Aquarium is a modular system, meaning that new sections could be added and rearranged in an infinite variety of configurations.